This project included conversion from a client supplied 64 page comic to a fixed layout ebook. 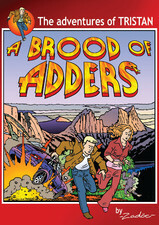 Each page included a comic strip image containing speech bubbles. We ensured the text within the speech bubbles were converted to live text so that they can be selected and searchable. We then validated and distributed the ebook to Apple, Google Play and Kobo.